Each year we host a User Conference for marketers to come hang out and share all the ways they’re using DocuMatix tools. We are consistently blown away by the innovation happening at financial institutions across the nation and our speakers this year had some amazing insight about the industry. Replacing direct mail. Fact: Onboarding using direct mail is way too expensive for little payoff. Jessica Stetson from Space Coast Credit Union explained how the first 90 days are crucial for reaching out to new members and taught everyone how to implement an automatic onboarding program with DocuMatix tools. Using this method, Jessica said her CU saw email open rates that were twice the industry average. Getting to know your members. Sarah Cecchin from 1st United CU is a longtime DocuMatix user who always has amazing insight and this year was no exception. Sarah utilizes email heavily in her marketing plan and her dedication has paid off: 1st United currently has 80% email penetration within their membership. This year she talked about using “me-mail” – a targeted, highly relevant, automatic approach to email marketing. First step: replacing paper surveys with digital ones. By implementing email surveys, 1st United Saved $30k/year alone. Another genius way Sarah uses DocuMatix is by sending an introduction email to indirect lending members letting them know who Ist United is and that they financed their auto loan. These emails saw a 70% open rate. 1st United also sends out birthday emails when members turn 18 to let them know about building credit with an educational spin. If you’re looking for ideas, this is a great place to start. Targeting specific groups. Audra Wilder is a one-woman show at GE Credit Union, but she’s managed to do some really cool things using the DocuMatix Product Suite. Her trick? Making her members feel important by sending highly targeting emails. Through trial and error, GE Credit Union’s products per member climbed from 1.8 after 12 months to 2.18. One trick she used is sending newsletters in multiple languages and then tracking both. This lead to open rates that were consistently between 26-33%. Utilizing all your tools. 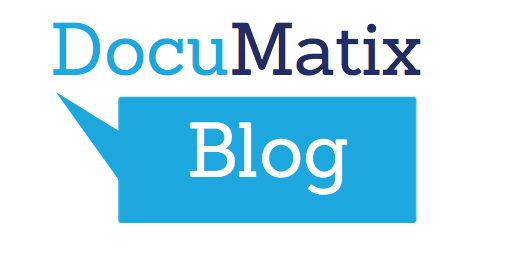 Shelby Coleman from Fresno Credit Union has found a way to use DocuMatix tools in virtually every aspect of her job. From sending emails internally to using the Digital Document Rack to save money on printing brochures, Shelby manages multiple projects seamlessly with the tools in her arsenal. She also shared another tip: Always use incentives in your subject line. By doing this, Fresno CU saw an incredible 43% open rate.